This isn't a great pic, but I wanted to throw something up here. My hobby room is still packed in boxes from the move. 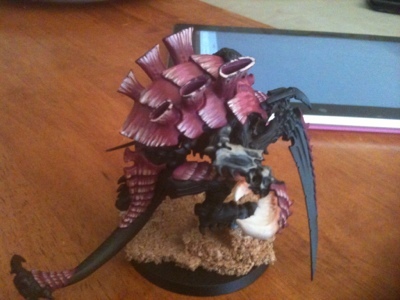 I decided to paint a Carnifex just for fun. The carapace is almost done.